Jim Rey knows the cowboy life firsthand. The artist lives in Nebraska's ranch land and has a great respect for the people who work the cattle and the fields. In this image, we're offered a panoramic view of a cattle drive. 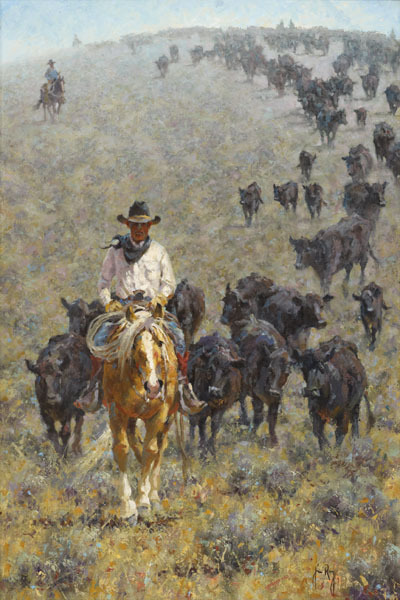 The cowhand at the front of the herd leads the way as the others follow on the long ride they have to complete.